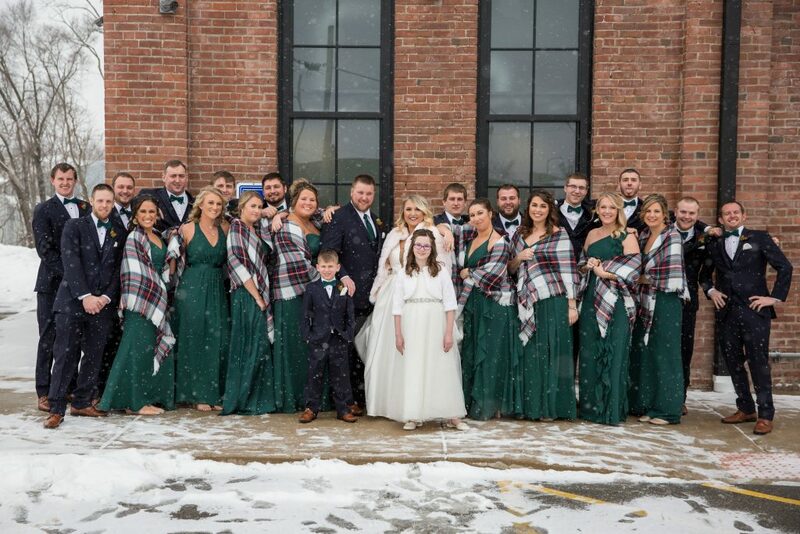 With spring upon us it’s hard to imagine the blistering cold day it was for this winter wedding last January 26. As we headed out with two fully packed delivery vans the thermometer registered – 18 degrees below zero. 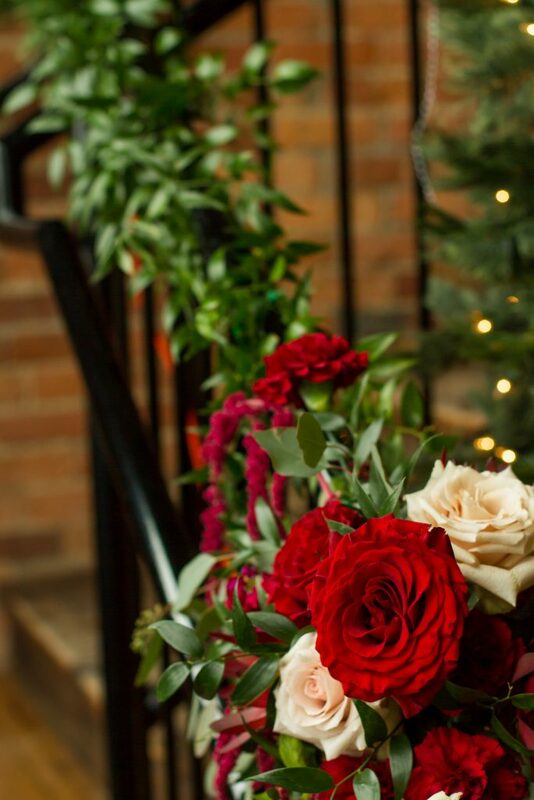 All the wedding flowers were carefully covered with plastic but we still breathed a huge sigh of relief when we got them all safely inside Trailside Event Center. Katelynn chose a beautiful mix of evergreen, ruscus, eucalyptus and plumosa greens for her wedding bouquet and to create a base for the beautiful garden roses “White Ohara” and dark red “Tess.” She also chose “Quicksand” a sandy mauve colored rose which has been our most popular rose for wedding bouquets over the last couple of years. 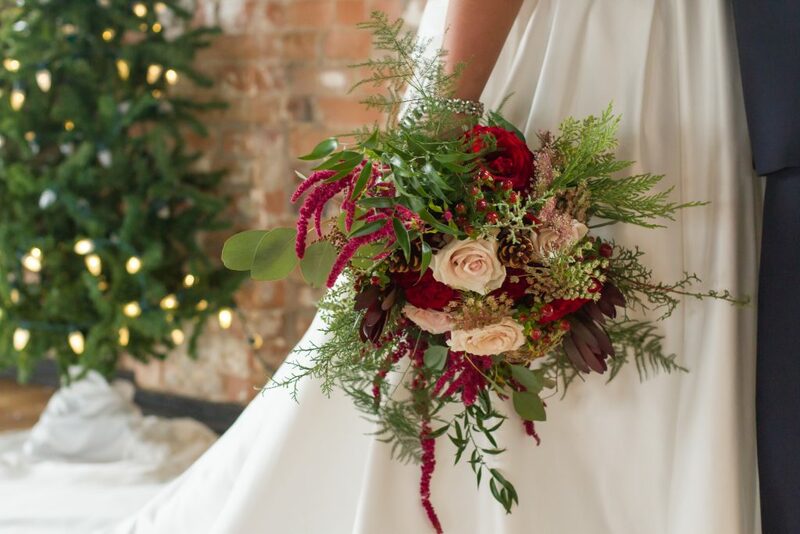 To add texture and movement we used hanging amaranthus, leucadendron, pine-cones and chocolate lace flower. What a special tribe of girlfriends!! 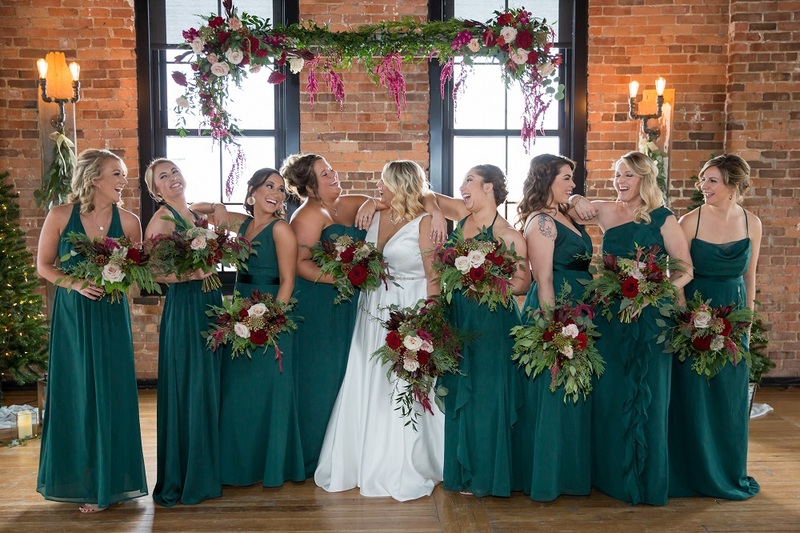 They all looked fabulous in their hunter green bridesmaid dresses which set off the burgundy and blush bridal bouquets perfectly. 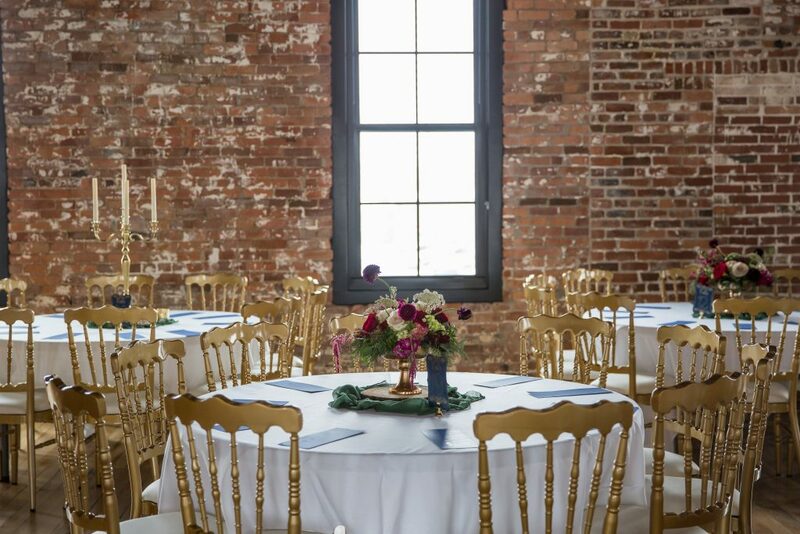 The old wood candelabras were from Old Oaks Vintage Rentals and the gold chairs were from Spruce Wedding Rentals. And can we talk about our vintage wooden ladder which we hung from the ceiling beams? 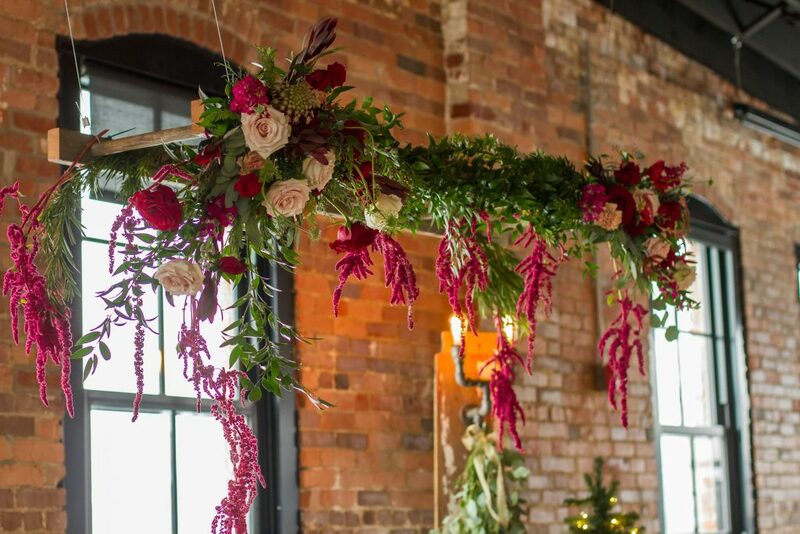 When covered in ruscus and dripping with hanging burgundy amaranthus it made a sturdy base to hang the floral sprays from each side and created a perfect focal point above the ceremony site to frame the bride and groom. 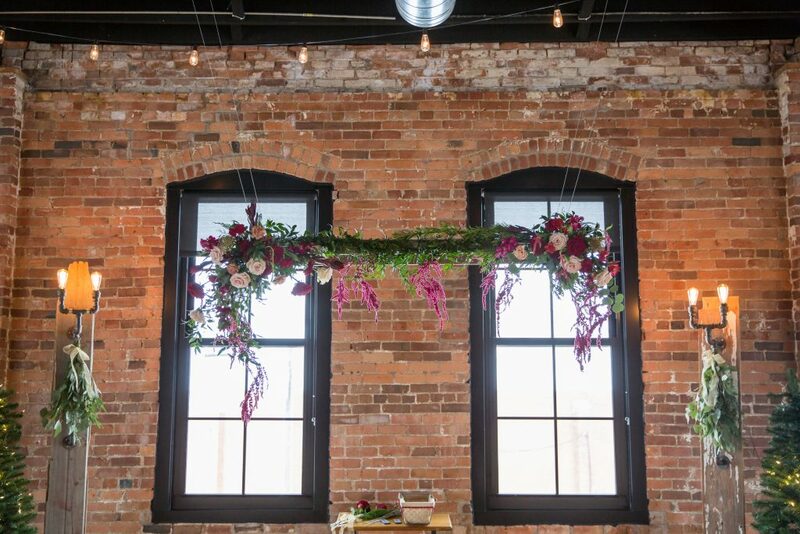 It’s one of our favorite hanging installations for weddings!! 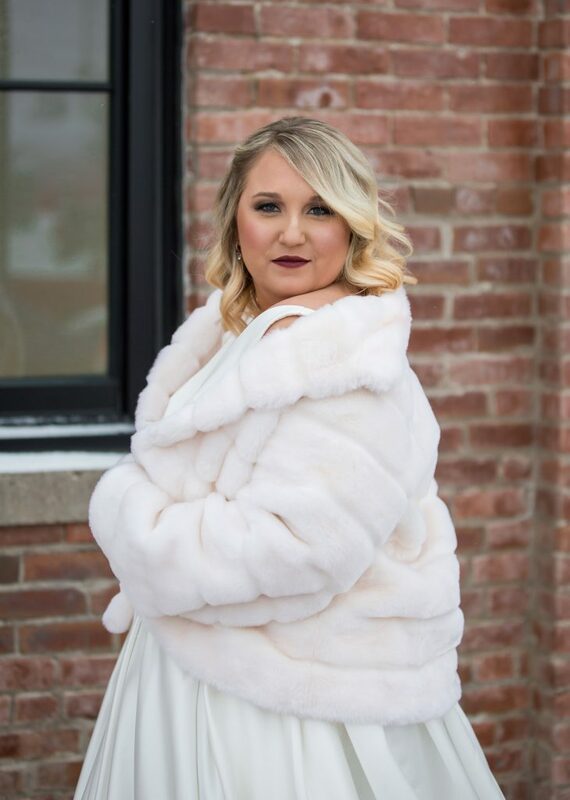 Katelynn looking absolutely beautiful, braved the blistering cold and headed out in this fabulous white fur cape to pose for some photos which turned out perfect – thanks to Sarah Peterson Photography! 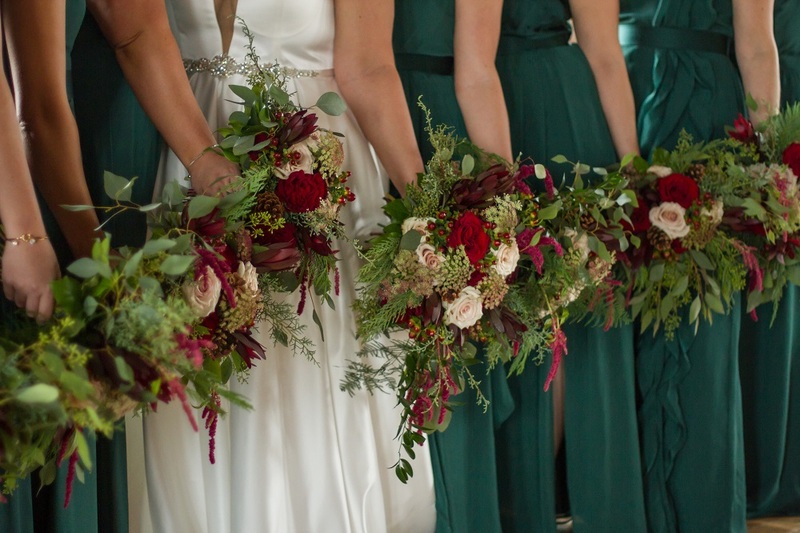 The entryway at Trailside was decorated with mixed greens, Hearts & Quicksand roses, carnations and amaranthus. A large welcome sign was also decorated with a floral spray. What a beautiful way to welcome guests to your wedding ceremony! 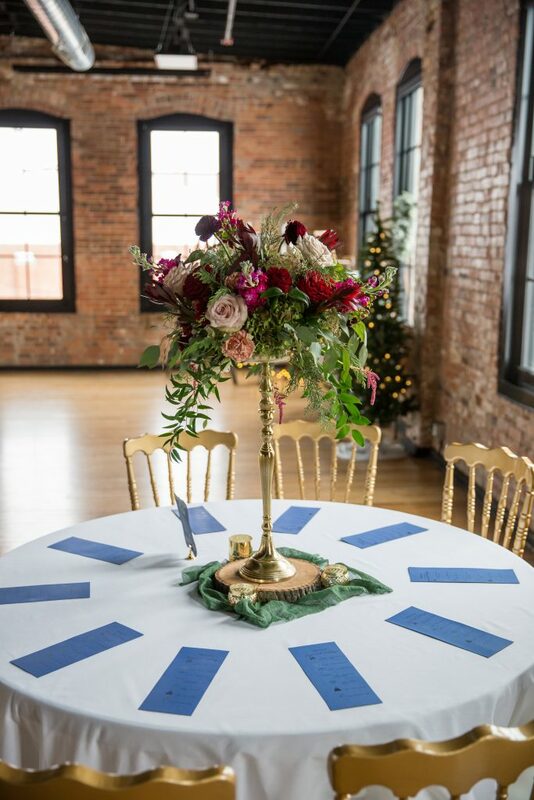 The old brick walls and original hardwood floor are so warm and inviting and created a perfect setting for our vintage antique gold stands topped with a lush menagerie of blooms and cascading greens for the showy table centerpiece arrangements. 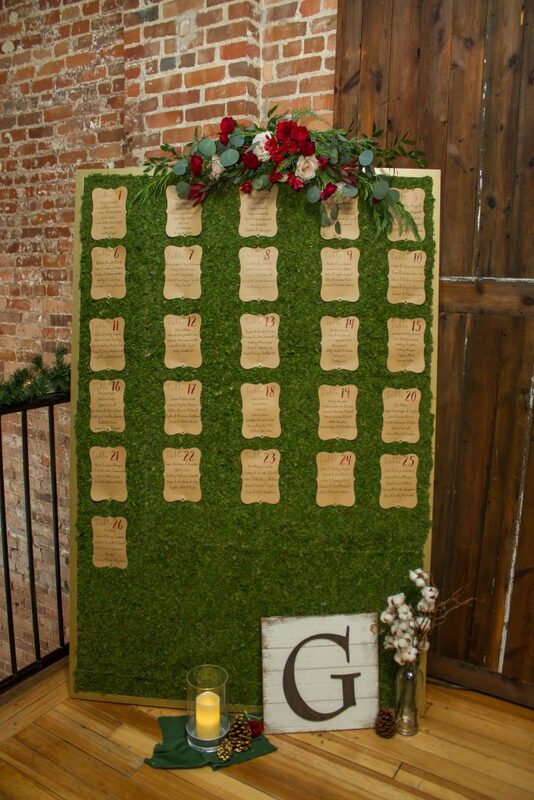 The table seating chart was posted on this moss covered frame which we embellished with a floral spray. 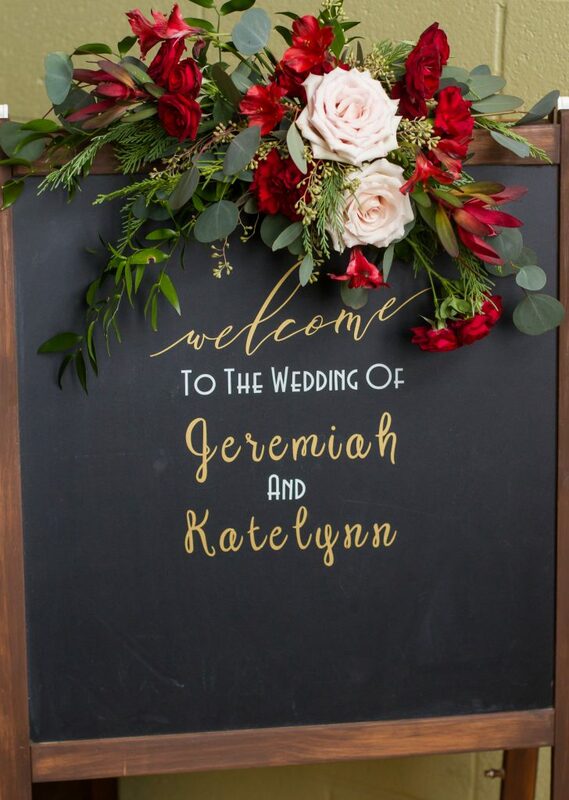 Katelynn and her family had so many unique ideas for wedding decor. These plaid wraps were well appreciated and necessary to keep these gals warm and oh so fun!! Brrrrrrr…!! Trailside has a special magic feel about the place and with Trefzgers Bakery located just one floor below, wonderful smells enveloped us as we set up and decorated the space. 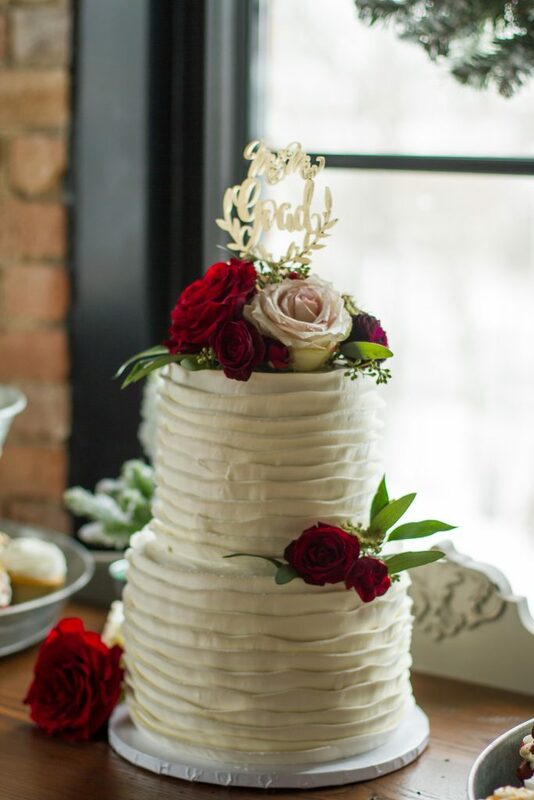 How perfectly handy to deliver the beautiful and tasty cakes – just a ride up the elevator. Are you looking for wedding flowers? Nancy was so easy to work with from the very beginning. 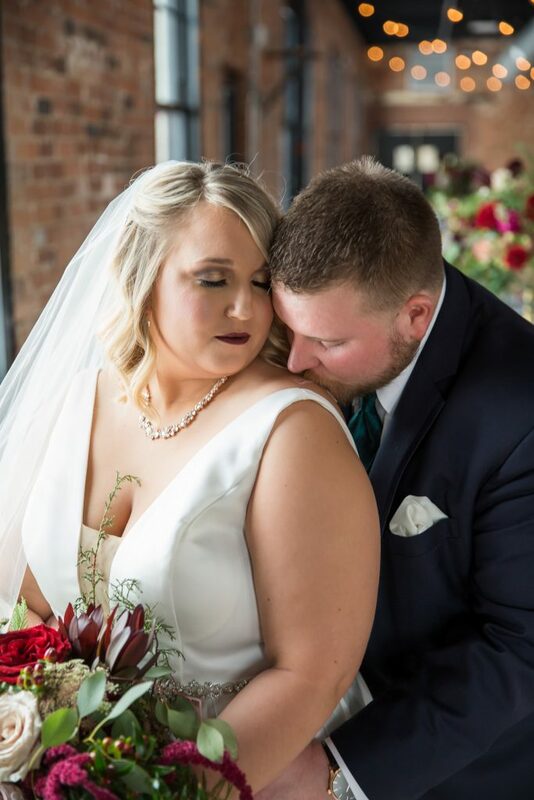 She had so many amazing ideas for our venue and thing I would have never even thought of! One thing that really stuck out was all the beautiful different vases and candelabras she had that we used for all of our center pieces. The day of our wedding once I walked into the Venue As Nancy was finishing setting up I instantly starting crying from how beautiful it turned out. 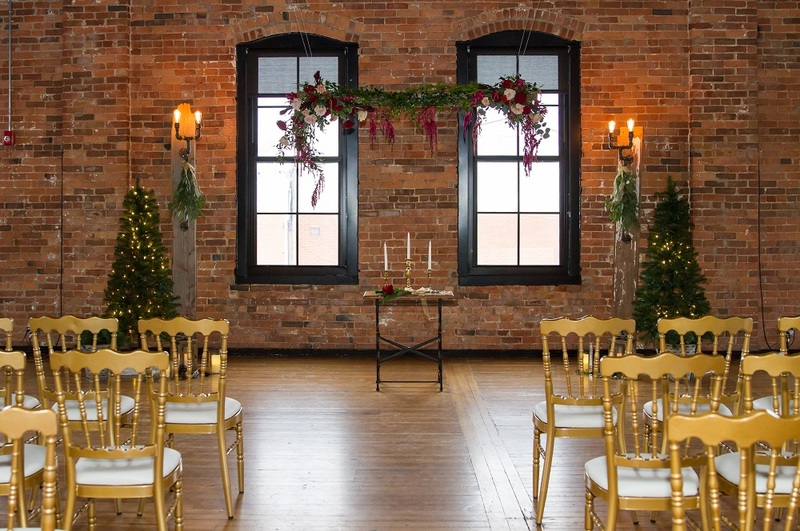 Her flower arrangements transformed the entire venue! During the entire process I never worried once about the flowers because I knew I was in good Hands with Nancy. 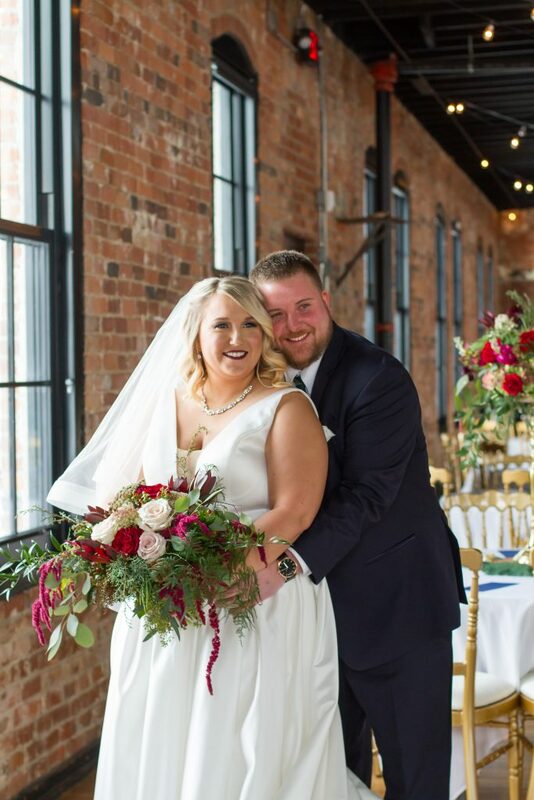 I would highly recommend Fancy Florals By Nancy!! !